Lhoosk’uz Dené School is located in Kluskus Village. Kluskus is one of Interior British Columbia’s most remote First Nation communities and is the traditional territory and home to the Lhoosk’uz Dené Nation. The village is situated by a shimmering lake, surrounded by an abundance of nature, and exhibits peaceful and pristine landscapes. The village is comprised of fourteen log homes and a beautiful school that displays an abundance of cultural pride. Although a small community, Lhoosk’uz Dené School provides access to education to all residents from age 5 months old to ninety-nine years old. Residents and guests always feel welcome in the school’s 1Parent & Community Lounge, where fresh coffee is available all day long. Lhoosk’uz Dené School provides a Language Nest Preschool program, K-9 Elementary/Middle School program, and a High School Distant Learning program. Staff are currently working to implement an Adult Upgrading program to begin in May 2016. The school is open Tuesday evenings for the Lhoosk’uz Dené Nation Parent and Community Club, where participants share cultural knowledge, engage in beading projects, and discuss numerous topics, including education. The school is also open Thursday evenings for Indoor Floor Hockey, occasional Saturday cultural workshops, and many cultural feasts. Residents organize Bingo Night to raise funds for various activities. In 2016, Lhoosk’uz Dené School celebrated the opening of their Pre-School Language Nest program. The Language Nest program immerses the children, ages 0-5 years old, in their Southern Carrier First Nation language. For four afternoons each week, this program allows parents and their children to interact in their traditional language with three fluent community Elders. The Elders and parents are members of the Language Nest School Committee. Students in the Elementary/ Middle School Program participate in a multigrade classroom. With an abundance of resources, curriculum is differentiated to meet all students needs at their ability levels. Language Arts and Math are supplemented with on-line programs. As cultural preservation is important to the Nation, Southern Carrier Language & Culture is embedded in many courses. Throughout the years, students have participated in skiing, swimming, and karate lessons, participated in ice fishing & moose meat cutting, and attended historical & cultural tours on the land (this program currently serves only elementary students.) Healthy breakfast, snack, and hot lunch are prepared for students everyday. Lhoosk’uz Dene School provides on-line Distant Learning for students who wish to remain in their community for their high school education. 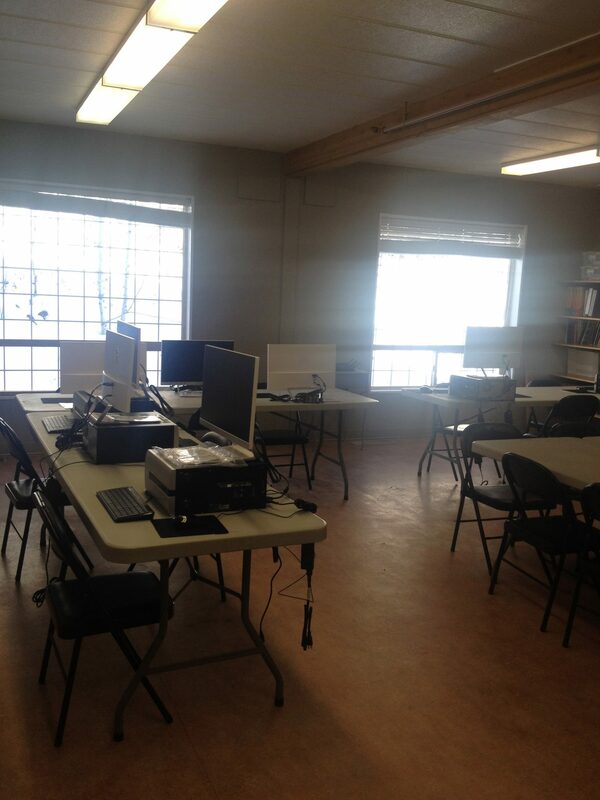 With a newly renovated computer room, which is equipped with new desktop computers, students can register for high school courses, work on assignments at their pace, and have teacher support, as needed. Administration has partnered with School District 28 (Quesnel) Aboriginal Education to provide Distant Learning to help the youth experience educational success.